Ethan Wate has lived in the small town of Gatlin all his life. Nothing changes in Gatlin; Ethan knows everybody and everybody knows him. Except the new girl, Lena Duchannes. As if being the new girl isn’t different enough, Lena is also the niece of the town shut-in, Macon Ravenwood. Despite knowing that associating himself with Lena is social suicide, Ethan can’t help but feel drawn to her. And when Ethan realizes that Lena is the mysterious girl haunting his dreams, he becomes further determined to uncover their obvious connection. But their intertwined lives aren’t the only secret in Gatlin. With paranormal powers and a century old curse, the small, boring town of Gatlin isn’t as normal as it seems. 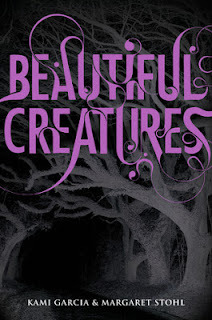 Beautiful Creatures is a stunning novel that keeps readers guessing the whole way through. There were so many secrets and mysteries that even the best sleuths couldn’t have caught them all. Although it took me forever to read, which is highly unusual, I found myself really enjoying the book. I went in a little skeptical because I had heard that this paranormal romance was written from the male protagonist’s perspective. I remember thinking oh, here we go, a hormonal teenage boy falling for the poor paranormal creature/girl. Unfortunately, I had condemned the book before giving it a chance. Imagine my surprise when I started reading and Ethan turned out to be the perfect Southern gentleman. I actually really enjoyed reading from Ethan’s perspective; it was a fresh twist and I’m not sure if I would have liked the book as much with Lena as the narrator. Ethan was a very interesting, funny character. Being able to see into his head was a fun experience. He’s just this average guy trying to mix into the life of an above average girl. Although I liked Ethan, I didn’t care for Lena much. I mean, I tolerated her for Ethan’s sake, but alone she was kind of melodramatic. I know she had a hard life, but Ethan did too, and he didn’t whine half as much as Lena did. My favorite character in this book was Macon Ravenwood. For the longest time, Garcia and Stohl paint this guy as some barbaric illiterate, but when you meet him he’s like Southern gentleman meets English scholar! Macon was above all the most interesting person in this book. The whole time I was like, what’s up with this guy? What’s his issue? For the life of me I couldn’t figure out what this guy was. And when I did, I was still a little perplexed. Although I did like this book, I do have a few bones to pick with it. 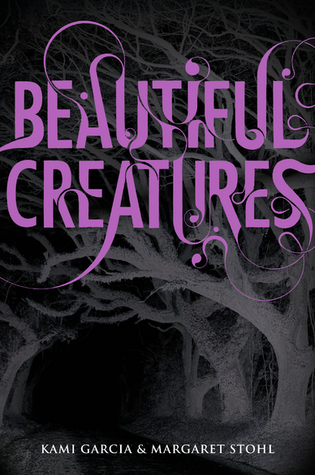 For starters, Beautiful Creatures has so many To Kill a Mockingbird references that I’m not sure I would have understood the book if I hadn’t read the classic already. Sure, a lot of books make allusions to popular works, but to me Garcia and Stohl went a little overboard. My other little annoyance was the whole paranormal part of the book. At first I was bending over backwards trying to figure out what type of paranormal creature was going to have the starring role in the novel. But there were no clues. You had no idea what was going on until Lena outright told Ethan. For me, that was a little disappointing. I love figuring out those kinds of things but Garcia and Stohl didn’t give me the chance. Then again, it’s only my personal preference. Aside from my minor grievances, I really did enjoy the book and can’t wait to get my hands on the sequel. This is the kind of book where if you do have the extra money, yeah, why not, you would buy it. But if you’re like me and don’t have full pockets, then a library borrow is sufficient.